David set up David Wilder Productions to produce quality commercial theatre after a 25 year career as an actor and director. His experience to date helps him to realise the importance of both critical and financial success which underpins every project he takes on. 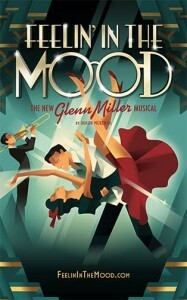 David is currently co-producing FEELIN’ IN THE MOOD with Kim Poster at Stanhope Productions, and as associate producer on A Room with a View, starring Felicity Kendall co -produced by ACT productions and Bath Theatre Royal.